Small - $34.99 Medium - $34.99 Only 6 left! Quit digging for bones, and start trick-or-treating for candy! Most kids who know a thing or two about Dinos know that Triceratops were a pretty big deal during their reign toward the end of the Cretaceous period. Their signature 3 horned skull and frill meant that these guys were total brawlers, but we suspect that they also knew how to party too! Unfortunately, these guys went AWOL along with all of their other homies during the mass extinction. Total bummer! Fortunately, there's still a way that we can enjoy these big boys, because they left their remains as fossils. 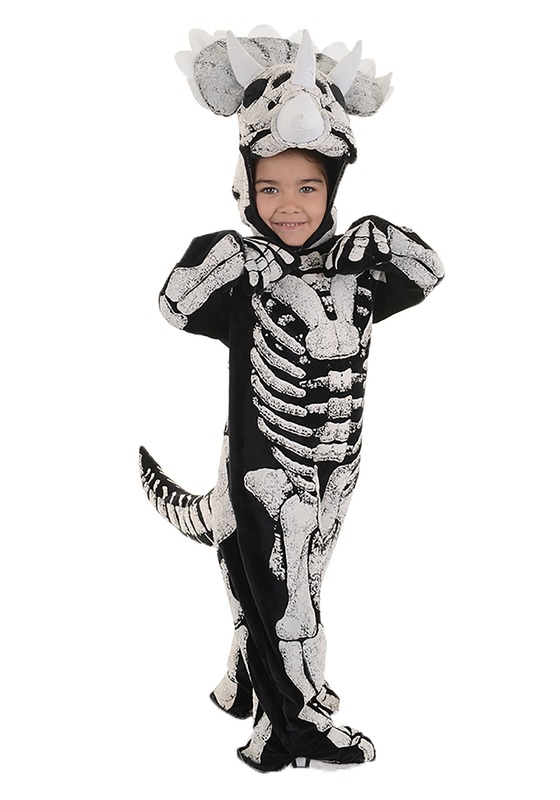 Now your child can resurrect some tricera bones and bring the prehistoric party to life by going in this kid's triceratops fossil costume!